Our versatile interior and exterior spaces are ideal places for you to present your brands, display and concepts. Each area is highly flexible and can be customised to your specific requirements. From a small meeting to a large-scale outdoor event, our impressive building and extensive grounds are the ideal spaces for conferences, presentations, exhibitions and a host of other inspirational events. 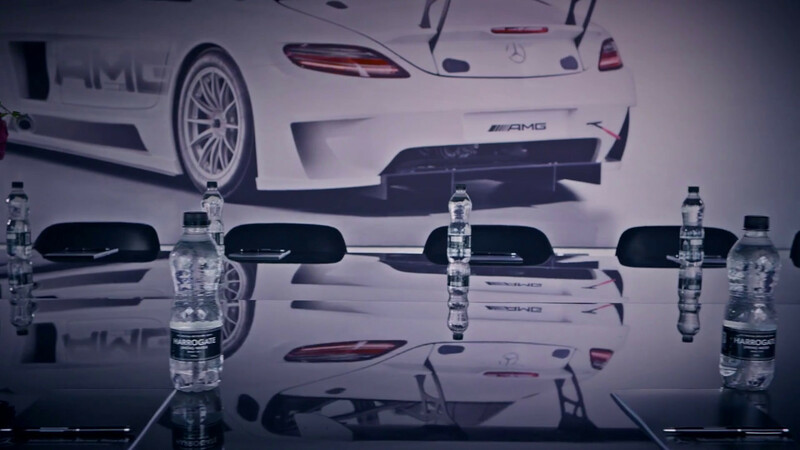 From the large Brooklands Halll to the elite S-Class Suite, Mercedes-Benz World offers a diverse and inspiring range of conference and meetings rooms. High quality seating and attentive staff allow you to accomodate your guests in luxury and comfort, whilst modern technology and laptop connectivity in all areas bring your presentations to life. Day delegate rates from just £65 per person at Mercedes-Benz World including a complimentary passenger ride. We have launched brand new menus for 2019 which include a range of healthy breakfast, break and lunch items. There’s also the option to join us for a 3 course meal in our EQ Restaurant overlooking the track. Get in touch with our team to find out more about our delicious menus and off peak rates. Our new attraction Accelerate is a must try! In this real-life race, you don’t just watch the action – you are the action. Feel the pure rush of adrenaline as you compete to win against your colleagues. 20 laps of excitement competing against your colleagues. Alternatively in our F1 Simulator Zone we have five ultra-realistic simulators that let your guests pretend to be a racing driver and compete to set the fastest lap time on our winner’s leader board.